One last summer post before it is officially over. It’s been around 110 here all week so summer is long from over here…lol! 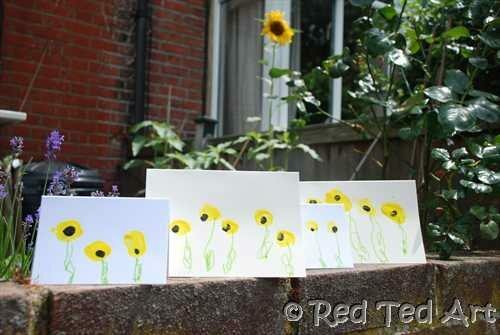 Here is a round up of different handprint sunflower crafts plus books to go along with them. 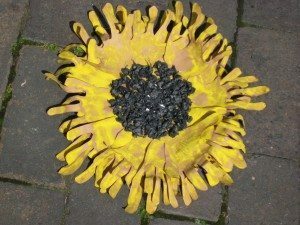 I absolutely love this Handprint Sunflower– it’s so unique and creative! Be sure to check out their Sunflower Club and eBook. Maggy’s son made beautiful Thumbprint Sunflower Thank You Cards– so cheerful! 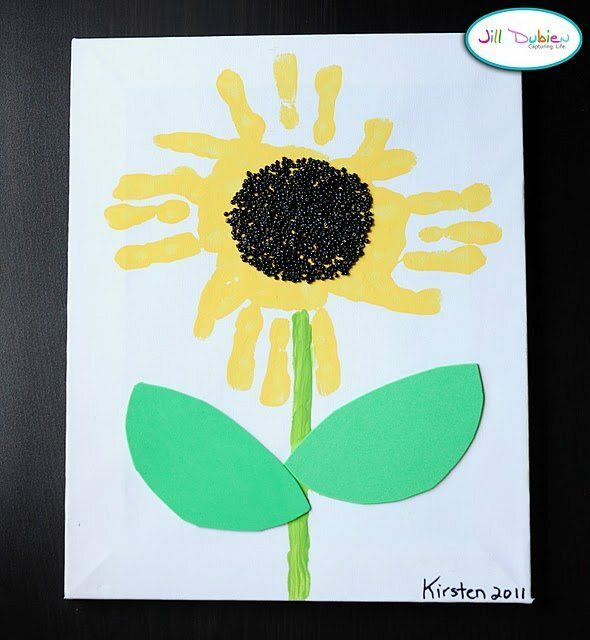 This lovely Sunflower Craft was made with handprints, fingerprints, and even the side of an arm! There is also an adorable-sounding book to go along with it. Jill made this gorgeous Sunflower Canvas Art using her daughter’s hands- what an awesome keepsake! 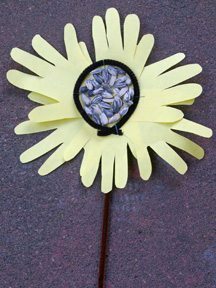 This cute Sunflower Hands Craft uses sunflower seeds in the middle- how fun! Hop on over to The Craft Nest to see how to make this Handprint Sunflower Card that has a sweet poem written on it. 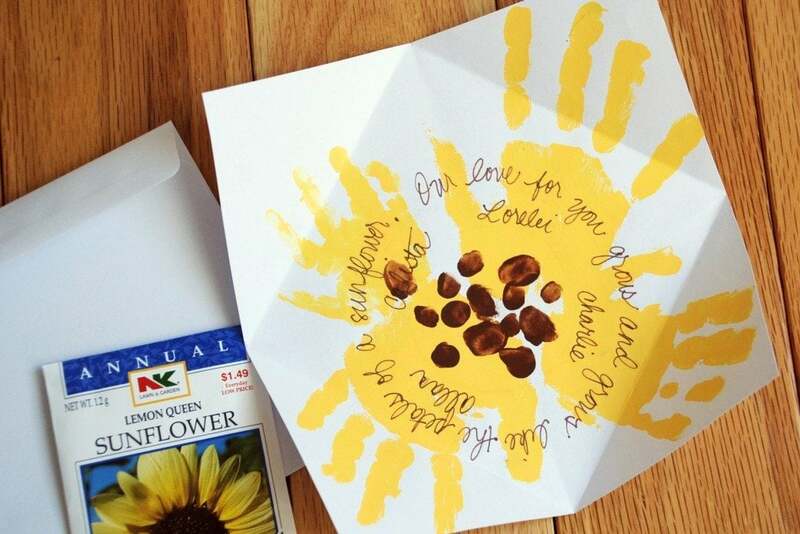 Check out the Footprint Sunflower I made with my baby’s precious little feet! *This post contains affiliate link. Find our full disclosure here. 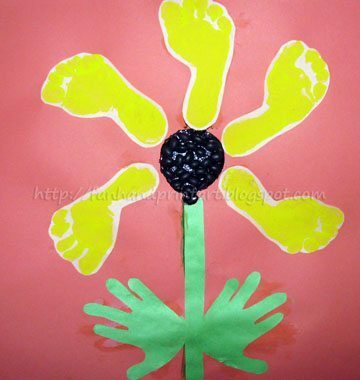 I just adore all the hand and foot print ideas. What a treasure trove you have here. I am a new follower from the Sunday Showcase. If you have a moment stop by -Thanks!